It’s pumpkin everything season right? 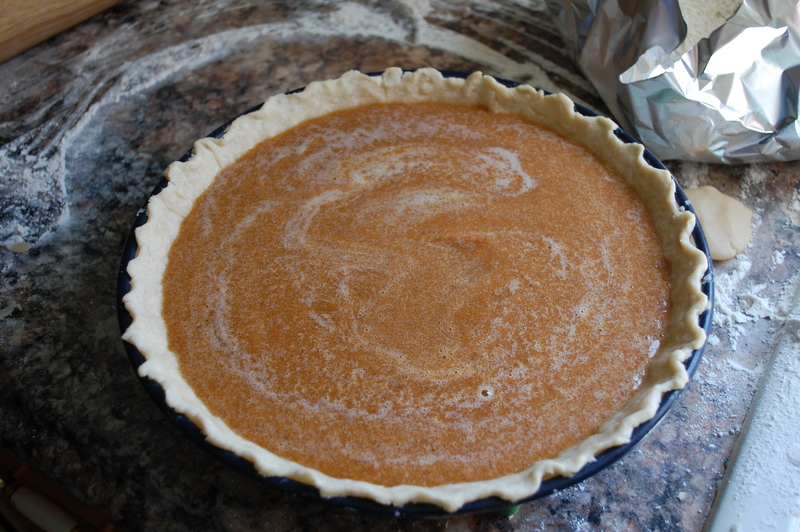 While some may race to the nearest coffee shop for a pumpkin spice latte others will be cutting, roasting, and pureeing their own pumpkin and making REAL pumpkin pies. Crust and all. I tell you what I’ve never seen someone order coffee quite like my mom. It was hilarious. We went to Floyd, VA last week and if you haven’t ever been you should. Such a unique town. I recommend going on a Friday evening catching a local meal (ingredients and all) at Oddfellas Cantina. Really, you couldn’t make a bad choice on what to eat. And after dinner head down the street to the Country Store for some dancing. Your first trip to Floyd definitely won’t be your last! Anyways back to coffee… we are in this super cute coffee shop overlooking the streets of Floyd. My mom leans on the counter… and you really have to know my mom… but as she talks she’s describing what she wants with her hands. “Okay, yes… I would like (insert hand gestures) something hot… with something cold on top (more hand gestures)… with something drizzled on top (more gestures). ” With my mom still perched on the counter the lady responds, “So you want hot coffee topped with whipped cream and chocolate drizzled on top?”. Mom excitedly says, “yes!!!”. Kinda like how Will Ferrell says “yes” on Elf. I was standing behind her completely confused. I had never seen someone order coffee like that before. It. Was. Hilarious. Anyways.. I guess you should have been there. I know she’s about in tears reading this. Haha. 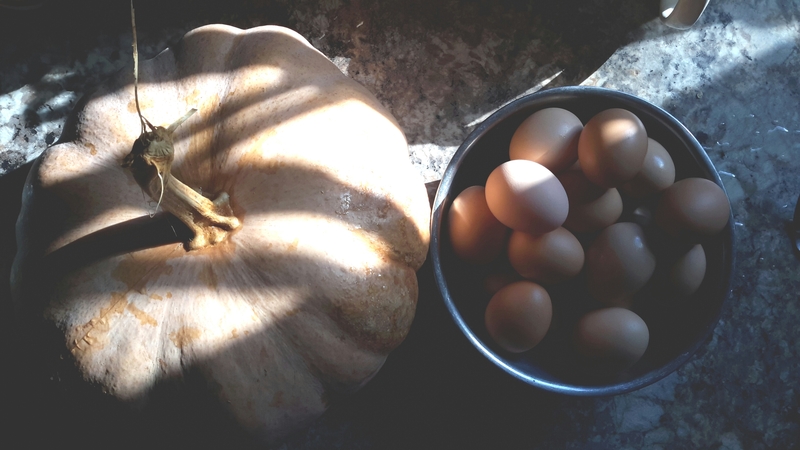 Combine the pumpkin, eggs and sugar until well combined. 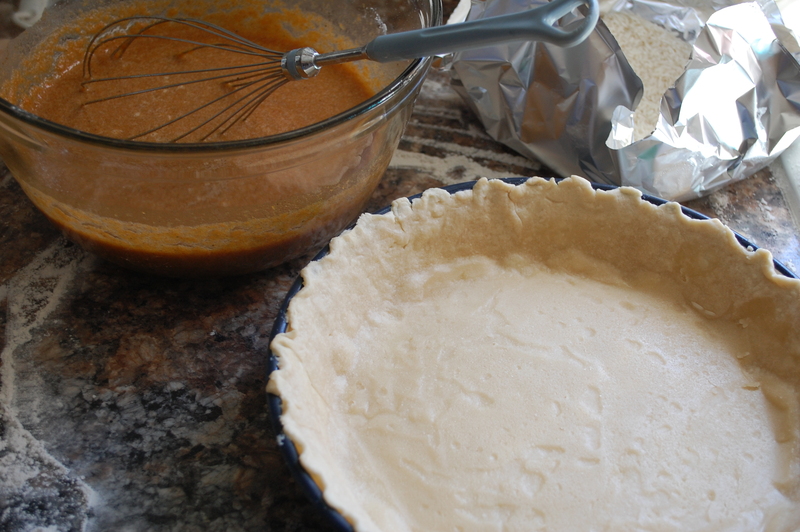 Then add the remaining ingredients and whisk together. My filling was pretty loose. But it cooked up perfectly. And bake at 350°F for 60 minutes. Set your timer for 25 minutes. 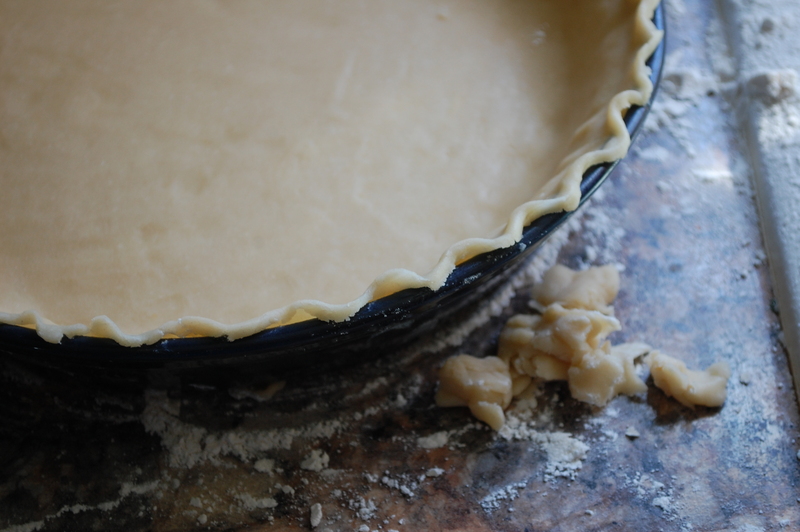 Once it goes off set a piece of folded tin foil over your pie this way the crust doesn’t get too dark or even burnt. Be careful pulling the tinfoil off because it may snag the top of your pie like mine did 😦 Set your timer for 25 minutes again. After it goes off check the center and if it’s still not set up start checking it every 5 minutes. Mine was perfect at 60 minutes but every oven is different. All it needed was homemade whipped cream. I let mine sit and cool for 3-4 hours then I slid it into the fridge. Viola! 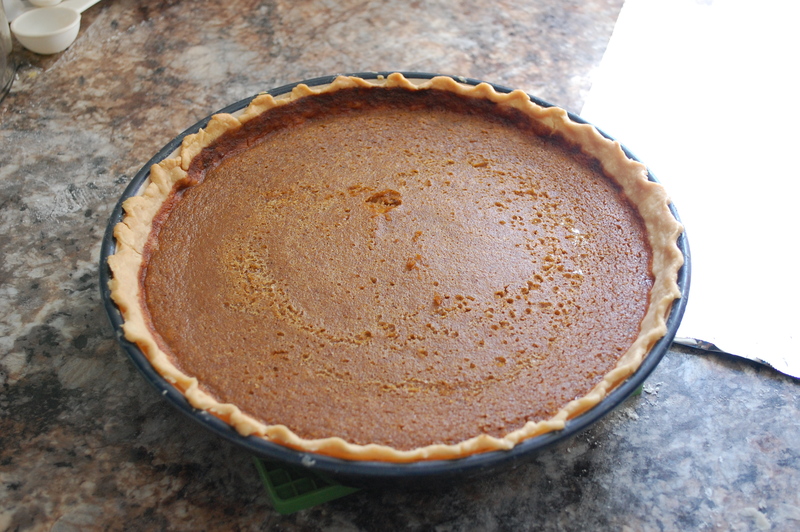 Perfect pumpkin pie. So so good. P.S. try not to eat it too fast!